Today, Croque is a tiny settlement on the tip of the Great Northern Peninsula that still maintains strong connections and has a storied past as the former administrative headquarters of the French Shore. In the 1600’s all French fishing ships were to register at Croque upon arrival at le Petit Nord. This created a hub of activity during the presence of the French migratory cod fishing fleet in this area. This community continued to play an important role for the French navy, as they used Croque as their headquarters on the French Shore. Croque has the only official French cemetery on the French Shore and is the final resting place for both French and English seamen, which is depicted below. The French Navy kept up the cemetery long after the French Shore Treaty ended in 1904. During their visits, they would provide medical services to the local residents with the ships doctor. It is hard to imagine that our communities were so disconnected and isolated just a few decades ago, but the road connecting this community to the outside was not complete until 1975. Dog teams and ships were the avenues in which those would travel to gain access to a doctor, which may be as far away as St. Anthony or a nurse at Conche. During the era of re-settlement, of the late 1960s and early 1970s several families from the Grey Islands and Northeast Crouse resettled to Croque. Residents today, still talk about their home or ancestors of the Grey Islands. Although the last official visit of the French Navy was in 1971, there is still lots of evidence of both the French and settler history by viewing the historic waterfront buildings, the French cemetery and just outside of town the names of ships are carved on the rocks by French fishermen. We have to reflect upon our past, there is a cultural connection to be made between Newfoundland and Labrador and France to pursue other opportunities to share artifacts, stories and our heritage past and present. Our early settler to the community was Patrick Kearney, which the Kearney namesake is still present today, who was responsible for being a caretaker of the French fishing rooms in the early 1800’s. Let’s do more to tell our stories of the past, because Croque, Petit Nord and the Great Northern Peninsula have played a very important role and it is a place you must experience! 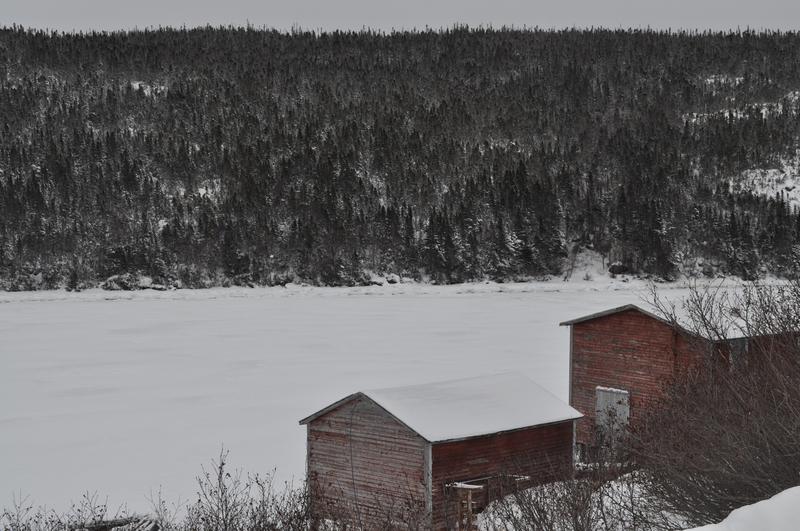 There are many reasons to Live Rural NL – the image above is certainly one of those. 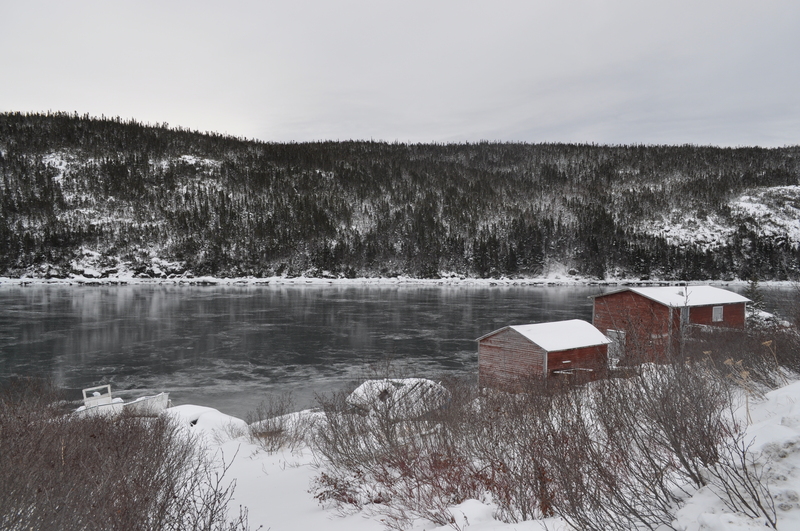 This winter scene from Croque, NL instantly brought warm feelings and a smile to my face, despite the cold day of January 24, 2012. 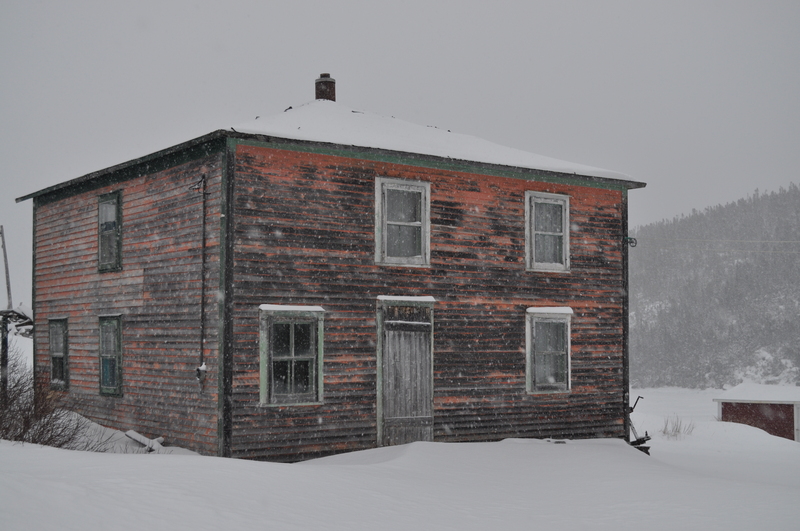 The proportion of snow on the rooftops of the fishing rooms is the perfect contrast to the slowly fading red paint. It is evident the burgeoning fishery is in decline. Although, the community like Grandois, faces a decreasing population – it offers endless opportunities for tranquility and is a photographers dream. Croque is 20 km via gravel road from neighbouring Main Brook. This community has a French cemetery, waterfront properties, walking trails and many natural wonders. Get notifications of new posts by email. Just submit your email address below.